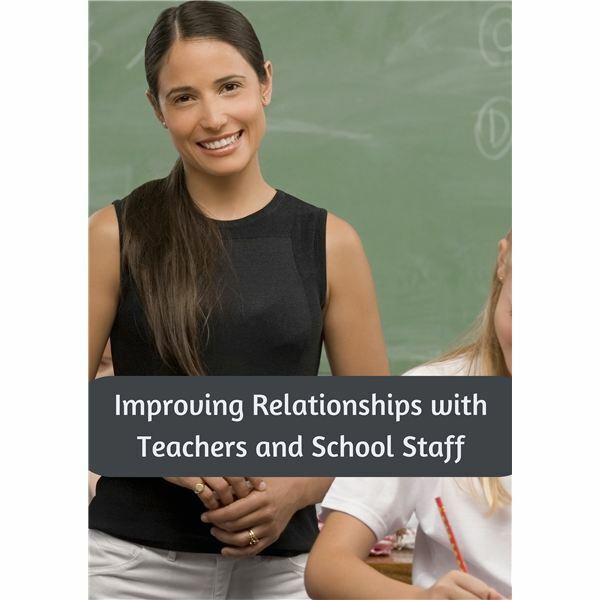 There are many different tips you can follow to help achieve the kinds of relationships with teachers that will be beneficial in helping your kids being successful. Be positive. People respond constructively to others who are congenial toward them. Start with a smile and a positive comment. If you appreciate what a teacher is doing with your child in school, thank them for helping them before getting into any situation that you intend to ask for help with. Ask for an appointment. Remember that teachers are busy and have many different details that they must take care of every day. When you ask them for a specific time and date to talk, you show respect and willingness to meet on their terms. Document results. After meeting with a teacher or staff member, record when you met with them and the results of the meeting. This helps you remember what you discussed in the meeting, so that you can work on the issues at home as well. It also helps when you talk to the teacher later about what improvements made. This communicates to the teacher or staff member that you value their input and are willing to focus on the issues they find important. Be social. Parents can become acquainted with teachers by volunteering at school functions, visiting the school for special events and touring the school at parent days. By increasing your presence on campus, teachers and staff will come to recognize you as a regular visitor and participant to school activities, which can facilitate your relationships with them. Join a parent ad hoc group. Parents sometimes form their own support groups, which give other parents an opportunity to connect with their peers who are dealing with similar issues in school. However, take care to prevent the group from becoming an adversary to teachers. Remind them to keep a positive outlook toward teachers and model an attitude of working together for the good of the child. Other school staff, such as counselors, principals and office personnel also play a role in the success of your child. For this reason, it is wise to get to know them as much as possible. Attending school sports competitions is one way to do this. Staff members often have duties they carry out at these activities, giving parents a good chance to get to know them and to advance positive relationships. Scheduling meetings with your child’s teacher is important, but even more important are the relationships you form with both teachers and school staff through these efforts. A meeting lasts only a few hours while relationships can last throughout the time your child spends time in the school he attends. By nurturing such relationships, you take a positive and important step toward ensuring the continued success of your kids, because people will help people they like more than someone they consider a stranger.